Avoiding widespread use and abuse of antibiotics — particularly at sub-therapeutic levels — is one way of limiting resistance-related outbreaks, but how far should we go? Especially since we lack thorough, comprehensive evidence that antibiotic use in food animals results in antibiotic resistance in humans. For the animal health community, animal welfare is a big challenge. Some took the FDA ban on growth antibiotics as a sign that antibiotics in general are to be avoided. I believe, however, most can agree that when a rancher has a dairy cow with a bad eye infection or a deep cut on its leg, it is inhumane to disregard antibiotics. The solution, as we so often see in technology, is an integrated approach. Antibiotics must remain a key component of keeping animals healthy, used when necessary, complemented by good management practices. The integration to improve results while reducing antibiotic use comes through a variety of novel biotechnologies, most focused on enhancing innate immunity. Many products besides antibiotics boost immunity. Some, such as probiotics and prebiotics, are familiar from human nutraceutical use. Nutritional supplements such as beta glucans (yeast derivatives) modulate immunity; phytogenics, zinc and organic acids encourage animal growth; more vaccines can be developed. Antibiotics themselves can be reinvented as nanoantibiotics: virus-like nanoparticles that show promise in treating even antibiotic-resistant illnesses. Bacteriophages (bacterial-killing viruses), eubiotics, plasma proteins, antimicrobial peptides, egg yolk antibodies, immunoglobulins and plasmids are other promising areas of innovation. The challenge remains that these novel complements (and at times replacements) for food animal antibiotics are primarily in the early development phase at best. And only recently have we begun to see significant early investment dollars translating these technologies from their early discovery stage. Slim margins pressure growers of every kind of food, and ranchers are no exception. With the aid of low-dose antibiotics, animals grow fatter more quickly and ranchers can sell more meat. The appeal of such ‘higher food conversion efficiency’ led to the widespread use of antibiotics as a growing aid, and ultimately propagated antibiotic resistance. On a global scale, most emerging diseases — including Ebola and bird flu — come from animals (zoonotic), and antibiotic resistance is a gateway to a global pandemic. How can the industry both bolster food conversion and stave off zoonotics? 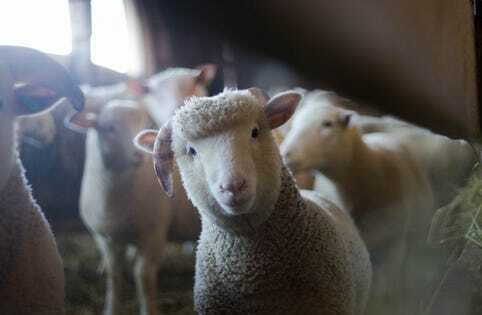 While it is clear that antibiotics-as-blanket-method threatens public health, farmers need antibiotics for the treatment of injuries and illnesses — animal welfare. Antibiotic resistance has stripped the medicine of its magic bullet status, and it can no longer be used sub-therapeutically to prevent illness or boost meat production. Ranchers, however, have not lost the need to prevent animal illness and to raise healthy stock. Limiting antibiotics, while necessary, has left a gap — one that the industry must innovate its way out of. Animal health innovation in general is on a tear. At a recent FoodBytes conference — one of the major agtech conferences — 36 percent of startups presenting focused on animal health. The problem is that many of these innovations are in hardware, not biotech, where they are sorely needed. Sensors, robotic pet toys and automatic pig feeders, while helpful, will not fill the empty space left by the withdrawal of low-dose antibiotics. Only fundamental biotech innovations will provide a viable alternative to antibiotics use, and that means anything you can do to boost an animal’s immune system without antibiotics. Artificial intelligence, machine learning, sensors, apps other types of automated technology are popular among animal health startups because they provide additional swimlanes for mainstream tech innovation — often initially developed for human applications. Drones began in the military, jumped into consumer markets, and are now finding their way into animal health as a monitoring tool. The same kind of thinking must be applied to biotechnology and food technology to innovate out of the ‘antibiotics alone’ hole. It is time, in other words, for innovation to find its way under the microscope — and quickly. The sooner we find viable replacements for, or integrated complements to, antibiotics, the better equipped we’ll be to address resistance while managing potential zoonotic epidemics. There’s a lot of work to do. There is no better time for sector startups to pivot or diversify from hardware into the biological sciences or from human to animal health applications. Let’s encourage entrepreneurs to begin innovating under the microscope and investor dollars to empower biotech innovations toward animal health. Our lives may depend on it.